Have you ever tried to remember when you deck was last sealed, or what company did such a good job last time? Stop worrying. Sign up for one of Deck Detail's Deck Maintenance programs. You choose how often you want your deck cleaned and sealed.Every year for the best appearance for that 'showplace' deck. 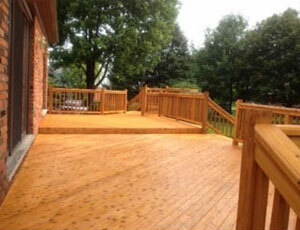 Every two years to maintain your decks beauty and protection from the environment. Every three years when your main concern is to protect your deck investment from the environment. Once signed up, we put your information in our computer database. 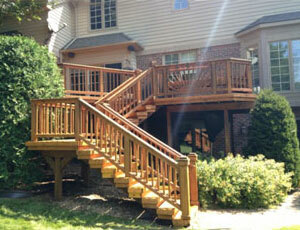 On the chosen year and month, we will call you to confirm your deck maintenance for that year. Once confirmed, we will clean and seal your deck and you will receive a 10% discount off current year pricing! Check your invoice for how to sign up, or just call our office: 734-420-1700.